Unlike launches in the past, this time E3 2016 is probably going to be really dull because almost every other title scheduled for launch during the event is already out. It’s not just games but hardware leaks as well. Microsoft has planned to launch an Xbox One white slim edition console. Images of the hardware got leaked ahead of the press show. The high resolution image of the new slim device was posted by a user named KawabataSan in his official Neogaf profile. The picture showcases the console standing upright. Microsoft likes to call the new device as the Xbox One S denoting its smaller size and decreased radius. Compared to the original design, this one looks like a complete box with grille on top to release excessive heat generated. 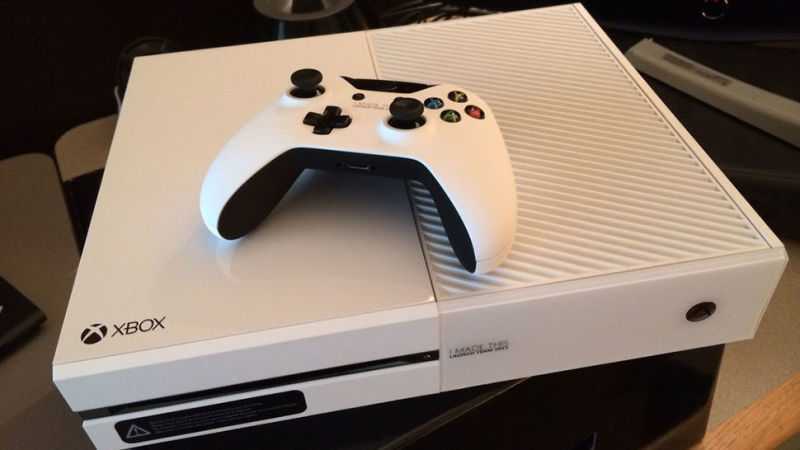 The right end of the Xbox One white slim edition console is textured. A welcome addition is the power brick which has been embedded with the console so as to keep things stylish. During the initial launch, buyers were apparently annoyed with the huge brick shaped power cord that made the console look bulky. Pushing it inside the hardware yet maintaining a stylishly slim profile is quite an accomplished for the entire team at Microsoft. In the Neogaf forum, a veteran media personality from Kotaku named Jason Schreier confirmed that it is indeed the new Xbox One slim console. It has been codenamed Edmonton and is scheduled for launch at the E3 2016 event. The new edition is over 40 percent slimmer in size compared to the existing model. The device is equipped with 2 terabytes hard drive providing enough space for gamers to store all their AAA titles. Rumors claimed that the improved hardware in the console will enable users to enjoy HDR and 4K video output. Sony has made similar claims and is going to launch a new console named the PS4.5. A vertical stand is bundled with the console to keep it in the upright position to save space. The engineering team has redesigned the controller although the changes are very subtle. The image shows the new controller but we couldn’t make out much because it looks the same as the existing model. Once E3 2016 event commences this week, we will have word on the pricing of the new Xbox One S and the host of exclusive titles scheduled to hit the platform in the coming months despite all the leaks we witnessed so far.